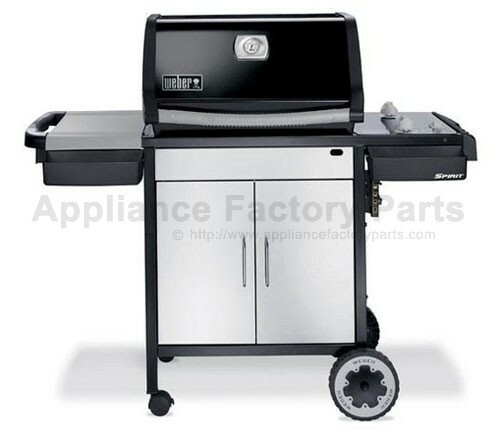 46110001 Spirit Series Gas Grill. 26,000 BTU. 2 stainless steel burners. Crossover ignition system Porcelain-enameled cooking grates. Porcelain-enameled Flavorizer bars. Primary cooking area = 350 sq in. Warming rack area = 108 sq in. Warm-Up basket area = 70 sq in. Total cooking area = 528 sq in. We're adding new E-210 LP parts all the time, contact us for pricing and availability.